This tiny light is just 3x1x1” and packs a real punch with 9-Watt illumination and 19 Flash Patterns. 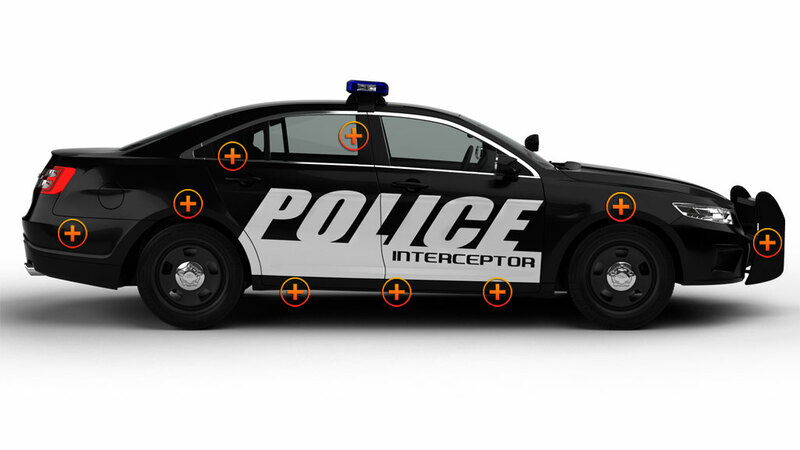 It is so easily hidden on the grille or push bumper, in fact anywhere on the surface of car, that no one will see them until they blast into action when the ON is hit! 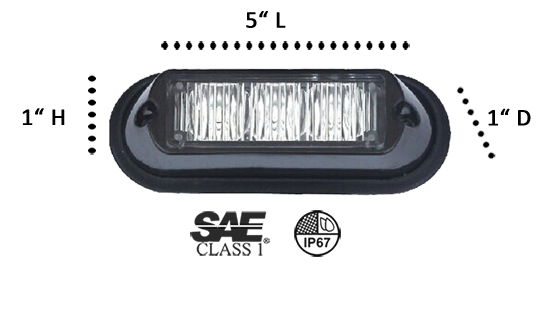 This unit houses 3 Generation IV 3-Watt bulbs in weatherproof, polycarbonate compartments with TIR Optics making these mighty little lights almost indestructible. Easy-to-follow mounting and wiring instructions are found on the ETD site, as well as directions to synchronize and to alternate the flash patterns. Undercover 3 comes with a color choice of bezels in black or chrome; choose the color that best matches the surface mount area. You choose the color from 5 solid color options. Our customers are somewhat surprised by the quality, brightness, endless mounting options, and how our lights compare to top brands….They’re just as good and a lot cheaper! All the reviewers are planning to stay with Extreme Tactical Dynamics when buying their emergency led lights! I opted to use these in sequence with my brake lights on my 2007 Road King Retired Police bike. They mounted on the trunk easily, wired up to the brake light quickly and there is NO doubt that I'm braking when the lights flash. They are done so they both come on at the same time, but flash, to get the attention of the driver behind me. Less expensive then others of the same style, quality material, easily installed and wired. Bright lights that grab attention. You can't go wrong with a purchase of these light. LOVE HOW BRIGHT THESE ARE!!! I have other brands on my POV and they do not even come close to how well these perform!!! These things compete with the top brands!! For the price they simply cannot be beat! 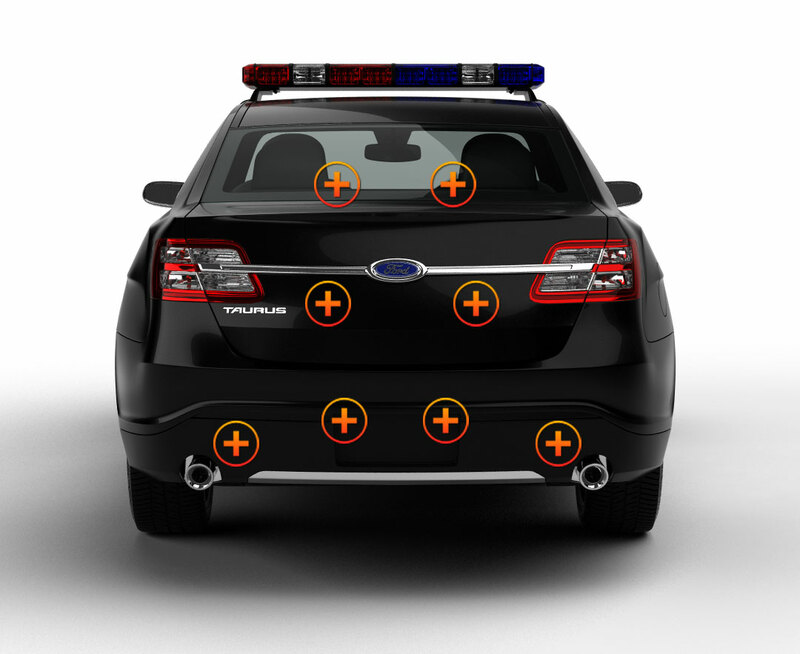 I mounted these on my patrol car grille guard about 3 months ago and couldn't be happier. Perfect for slick tops with limited side view lighting. 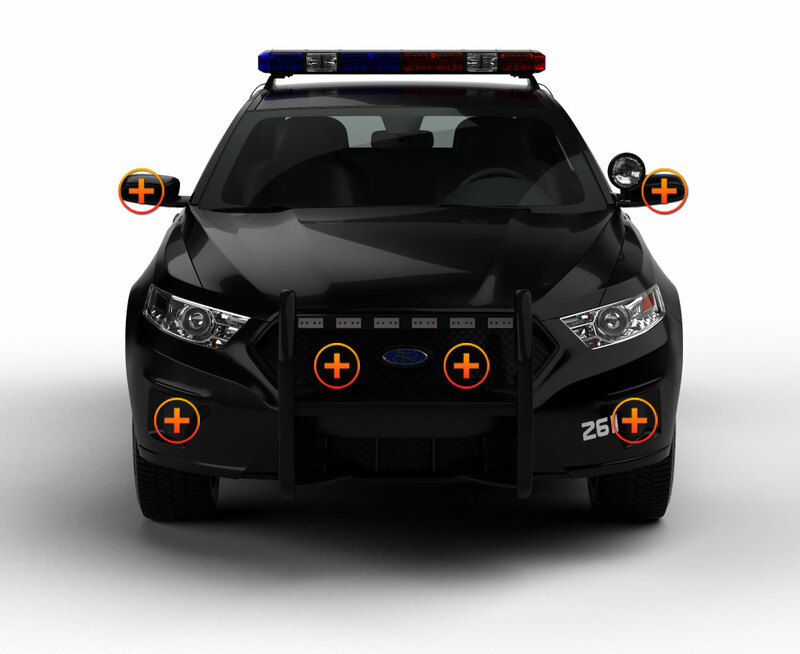 I've had these lights on my patrol car for about 6 months now, and they work great. You can't find a better deal, and these lights are just as good or better than any out there. Great light, great price! Mounting options are endless, whether on a push bar, in the grill, or coupled with the license plate bracket! Nice addition to any setup, highly recommended.